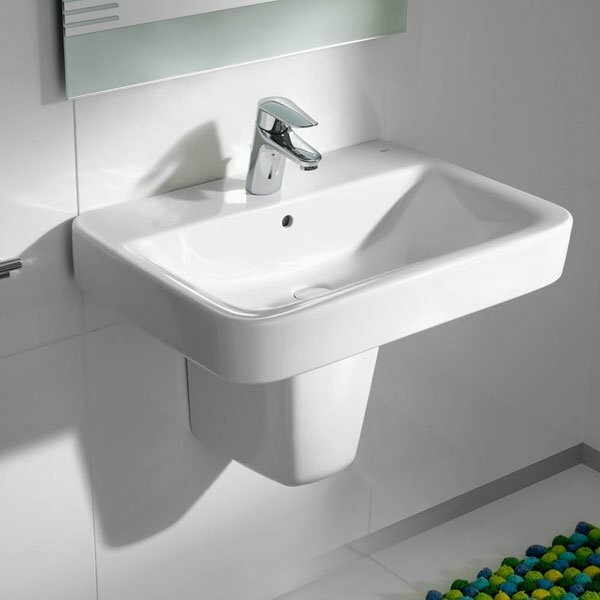 The Roca Senso Square Basin and Full Pedestal, 1000mm Wide, 1 Tap Hole comes from the exciting Senso range of basin manufactured by Roca. This basin can transform an ordinary bathroom into a luxurious one with its sheer presence. It's elegant and refined style conveys the sense of serenity and peacefulness associated with the classic atmospheres of bygone times.